Universal Development - Bathrooms, Bedrooms, Kitchens, Tiler - Tiling based in Gosport, Hampshire. 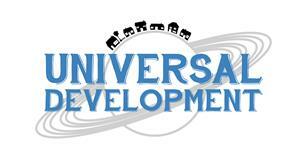 Hi I'm Patrick, owner and tradesman of Universal Development! I take huge pride in my work and have an impressive 92% return rate from my customers, of which I am both grateful and proud of. I carry a waste carriers licence so I can legally remove waste from customers houses and pride myself on communicating with my customers regularly should they not remain on site. Initially I like to provide a free no obligation quote, then I return for another meeting before work commences in order to go over any related questions or changes you may have. I take bookings in advance should you wish to book the work in now for a future date. Please see below the list of work I undertake, however if you have any special requirements please get in touch for any advice you would like.